COMPATIBLE WITH LHD VEHICLES ONLY! 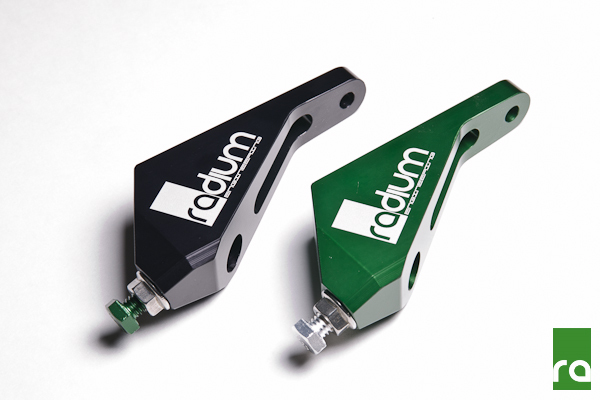 The Radium Engineering brake master cylinder brace installs on the LH strut tower and provides needed support and immediate response for hard braking. The billet aluminum design is lightweight yet very stiff. The strategically selected adjustment screw prevents damage to the master cylinder housing with the use of a large diameter aluminum head. The included stainless steel "easy-on" locknut prohibits any potential slippage of the set preload. Shown below in Bright Dip Black. HOW IT WORKS: When the brake pedal is depressed, not all the mechanical energy is transferred into hydraulic brake line pressure. Unfortuntately some of the energy is wasted flexing the thin firewall. 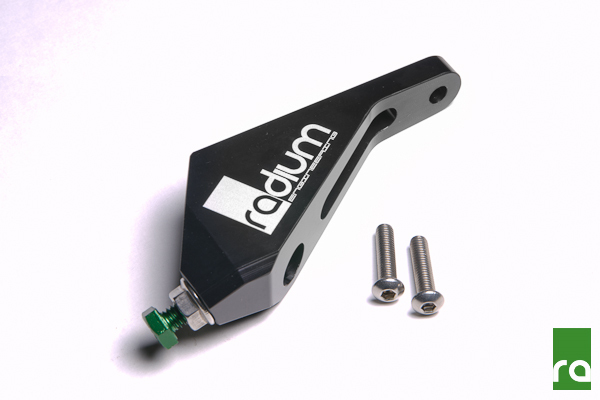 With the Radium Engineering master cylinder brace, firewall flexing is eliminated allowing all of the brake pedal input force to be applied to stopping the vehcile. This leads to a firmer pedal feel and an overall more responsive brake system. Installation uses factory mounting holes and takes just minutes. This brace does not require any cutting, drilling, or modifications to the vehicle. Compatible with all left hand drive FR-S, BRZ, and 86 variations as well as manual and automatic transmission models. 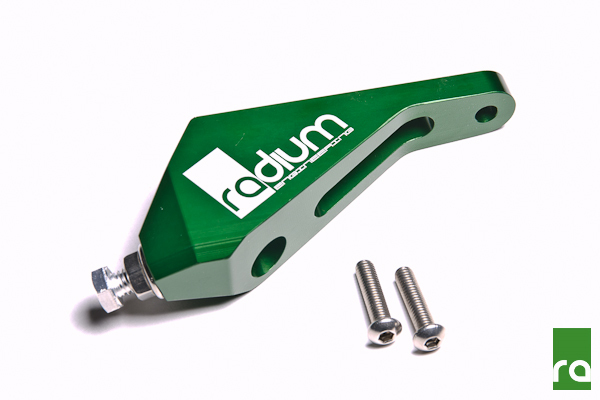 Shown below in Radium Green. I never realized how squishy my brakes really were until I installed the brace. My brakes now feel solid and touchy. This product is well machined and the finish is pure eye candy. The precision machining made the fit perfect, no play or holes off alignment. As for the install, If you can't install this by yourself, sell your car, you don't deserve it.